Brock Stull remembers when Wisconsin-Milwaukee upset the Gophers and Badgers on the road his freshman year in 2015. Stull got a taste of Big Ten atmosphere, but to play nightly in that environment at Minnesota this season will be like living a dream for the Illinois native. Stull, a senior guard from Rockford, Ill., spent the last few months back home finishing summer classes to graduate with a degree in criminal justice. 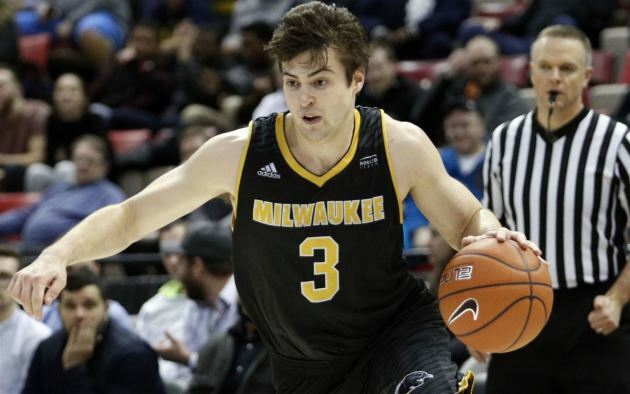 UW-Milwaukee’s assist leader last season is enrolled in the fall semester at the U. He’s expecting to join Minnesota's team this week. Gophers coach Richard Pitino has high hopes for what Stull will bring to the team this season. The 6-foot-4, 195-pound Stull has the potential to immediately impact the Gophers with his outside shooting, versatility, toughness and leadership. His role could be very similar to what Akeem Springs brought as a grad transfer from Illinois and UW-Milwaukee on the U’s NCAA tournament team in 2017. When Stull announced his decision to transfer, he heard from schools like Xavier, LSU, North Carolina State, Creighton and Butler. Playing for a team that gets to the NCAA tournament in his final college season was definitely a major factor. He believes Minnesota has a shot, but the U campus and facilities sold him on the program as well. Stull’s name might be familiar to some Gophers football fans recalling the high school career of former U quarterback Demry Croft, who transferred to Tennessee State. At Boylan Catholic High School, Croft got his first shot as the starting signal caller when injuries led to Stull moving to wide receiver his senior year. As a high school basketball recruit, Stull was a two-star prospect with no Power Five offers. Former Milwaukee coach and current Gophers assistant Rob Jeter signed Stull and coached him for two years with the Panthers, including a redshirt year in 2014-15. "Definitely made it feel like home," Stull said about Jeter in Minnesota. "He could tell me things to make me comfortable. Little icing on the cake right there." As a sophomore in Milwaukee under LaVall Jordan, Stull emerged to lead the Panthers in scoring (13.6) and rebounding (6.5), while shooting 39.9 percent from three-point range and 80.6 percent from the foul line in 2016-17. He led Milwaukee in assists (3.1) and ranked second on the team in scoring (13.4 points) last season. Jordan left the Panthers to coach Butler in 2017, so Stull had his third coach last season with Patrick Baldwin. Stull will join the Gophers having missed summer practices and workouts. Springs went through the same process and told his former teammate what to expect playing for Pitino.